Cue on of my favorite David Bowie songs. Today is an important day for me, five years almost to the minute when an unexpected email came to me. 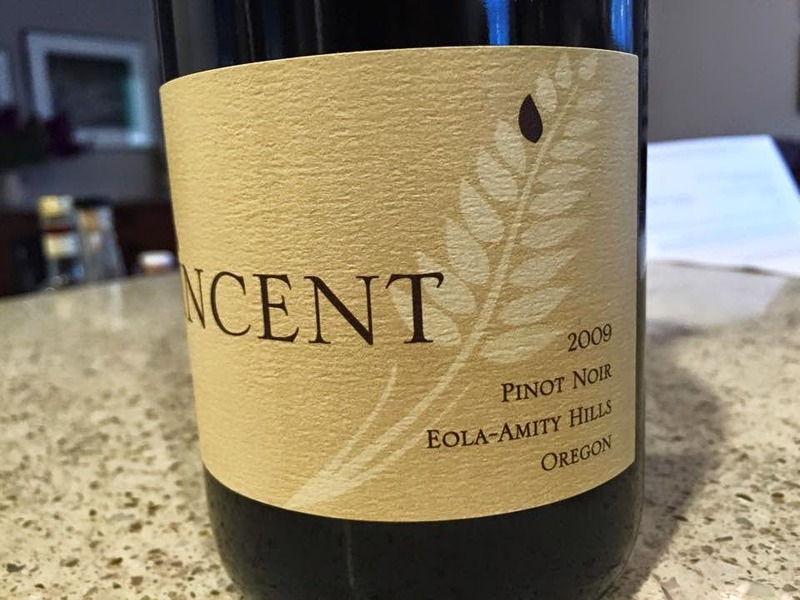 It lead to the first order of Vincent Wine Company wine, a case of my 2009 Vincent Pinot Noir Eola-Amity Hills, my first vintage. I have an uncanny mind for remembering dates and events. (I'm inversely terrible at remembering people's names or the plots of movies, don't ask why.) I often can't help but think what happened on a given day one year ago, 10 years ago. It's even true of entire years, and wine plays into this when I think of 1982, the year I learned to surf, the year of great wines in Bordeaux and an El Nino winter in my native California that was great for the waves but lousy for the grapes. These connections in my personal history and matters of public record fascinate me. It's funny that the one time recently when things totally slipped my mind was the 10 year anniversary of this site early this year. It just slid by unmarked at the exact moment. That's not happening today. Perhaps I always knew that anyone could start a blog, which I did, and never doubting that it could happen and continue to happen if I just kept writing, maybe it all didn't make the ten year mark so significant. But someone emailing me, totally out of the blue, that became an order for a case of my wine? That happening was always in doubt, never expected, and certainly nothing I could simply do myself or declare and make it be so as with this blog. That makes it so much more meaningful to me. I love making wine. It's an indulgence though as I've written here previously it's also very necessary, it's what I do, even at the start of war or when my father called me with his terminal diagnosis. It's just who I am and how I've come to try to express how I feel about things. I just can't keep making wine if no one wants in, so that email meant the start of something that continues to this day and I hope never goes away. Fire needs air, spring needs the winter, and wine making needs a person wanting in. Several in fact, but it had to begin with one. That reality was and remains the scariest part of this whole winery business thing. What if no one still wanted in? How would I continue being able to do what I do, be who I think I am, at least this (major) part of me? So, thank you. That email five years ago today, May 3, 2010, means everything to me. It brought this dream to life. Though this business isn't without its quirks. As it turns out, that wine was never delivered, that order never finalized. I've learned to sell all your wine, you actually have to sell more than all your wine because things fall though or get delayed, orders get changed. It's tough sometimes. But no matter, I still have a case of that wine in my little library, and it's still drinking lovely and should for several more years. There's no rush on this bottle if you still have one (nice to hear a great report recently on it from a CA customer). Like good wine, it needs time. And to twist my mom's favorite Wizard of Id cartoon playing on the old Orson Wells line about selling no wine before its time, time's not up. I think it's only just beginning.